Tools to read and problem-solve any traffic situation, bicycle-specific facility, or road configuration. CyclingSavvy was developed by Keri Caffrey and Mighk Wilson in 2009. It was offered to the public for the first time in 2010. The Florida Bicycle Association managed it from June 2010 to June 2014, but early on, it became clear that CyclingSavvy was destined to become a national program. Our first instructor training for Florida candidates was in January of 2011. By April of 2011 we had instructors in 4 states. Individuals came from around the country to learn about CyclingSavvy and bring it home to their communities. ABEA offers both individual and group rates for CyclingSavvy. Fees for the in-person course are structured to make it sustainable and worthy of an instructor’s valuable time. 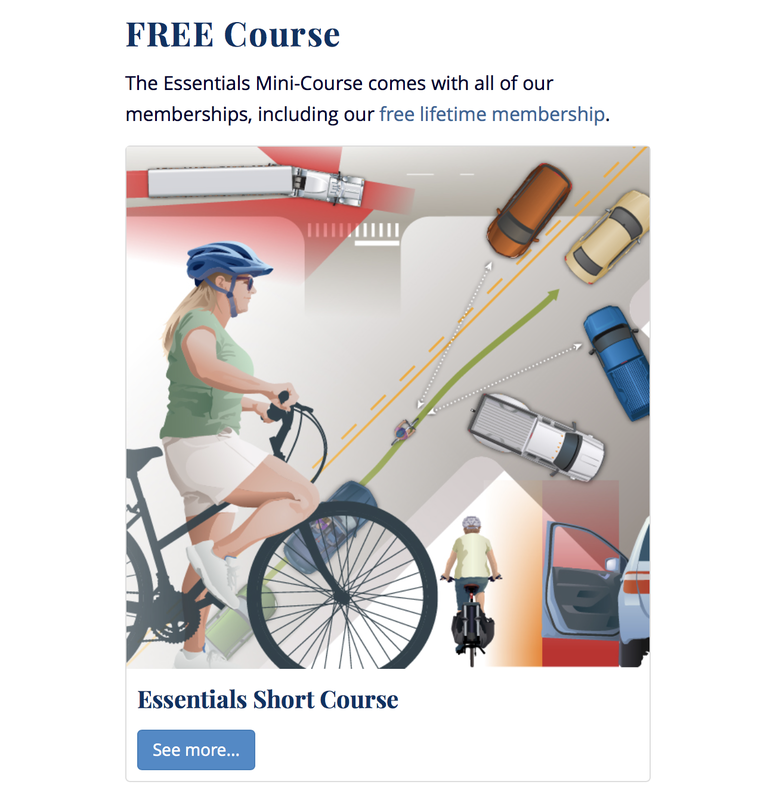 While we appreciate the desire by some to offer cycling courses for free or very low fees, we feel it undercuts the value of the program to do so. People expect to pay both for sport coaching for other sports, and for driving instruction for other vehicles. For individuals, the current full course fee is listed at our public website: CyclingSavvy.org. Fees are quite modest compared to comparable courses for other sports and vehicles. We offer a discounted full course package price for up to 10 students on bike, and up to 25 in the classroom. This flat rate is offered to a company or organization (such as a bike club, bike shop or a company providing a course for their employees). It is up to that organization to fill the class. Contact Laura@abea.bike for current pricing. Learn more about our courses, our philosophy, and what our students say about their experience. Interested? Contact us. In 50 words or less, tell us 1) your preferred workshop location and dates and 2) why you need or want scholarship funding. Help fund the scholarship program!